"Dale is a pleasure to work with. He has done photography for me personally and I see the results of his work frequently as I do custom framing for his clients through my business, The Art Shop, Inc. He is highly professional, creative and willing to go out of his way to make his clients happy. He has a keen eye and always seems to find the right shot." "Dale is an extremely talented photographer who works well with people while capturing important life events in commercial and natural settings. His nature photography is truly amazing. He is conscientious, reliable, honest and truly cares about providing quality work in a timely manner. His business ethics are above reproach and he is a real pleasure to work with." "I have had the pleasure of working with Dale on several occasions at Beth David Synagogue. Whenever he was asked, to volunteer his services, Dale was always ready, willing and able to capture the moment on film. He has even rearranged travel plans to cover a special event to honor our Rabbi. Dale is a joy to work with and his portfolio of work speaks for itself." -Wendy Rothstein, MBA, Development Director at Operation Smile Inc.
"I have had the pleasure of working with Dale many times because Dale makes it easy and pleasurable. Always when going over the scope of the job, Dale asks the proper questions to ascertain and clearly state the true goal(s) of the job and he clearly puts forth what he will do for the client. As important, Dale takes the time with his clients to really find out what may have been unspoken, but in their minds eye of just what they are seeking to see in the photos. When I hire Dale I get more than a book of pictures or a CD of the event, Dale captures the heart and feeling of his photographic subjects. That is why we use him over and over again, he is the Expert." 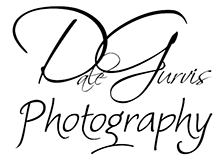 "Dale's photography experience and his commitment to customer service are second to none. His eye and talent for capturing the perfect emotion and reaction create a lifetime of memories for the recipients of his fine work." "Plain and simple Dale, well done. Everyone was thrilled with your photography and beautiful pictures. You were everything I had heard about you and we can't thank you enough. Telling other brides to be about you is easy and my pleasure." "Hi Dale, One thing is for sure...seeing all of the outstanding photography reminds me that we made the right decision in choosing you as our photographer. The tremendous range of images will help to keep our memories fresh." "Dale is excellent to work with. As a photographer he has a keen eye for great, creative shots and has the ability to be versatile and do classic photography with a contemporary edge. He also has a knack for being in the right place at the right time to get great shots. He is friendly, courteous, very professional, meets deadlines and always returns phone calls. When coordinating with Dale on any project he sincere and passionate. He is a great choice to have as a wedding photographer or for that matter, any event!" © 2005-2018. Dale Gurvis Photography. All rights reserved.